Lynette Fromme is best known for attempting to assassinate President Gerald Ford in 1975. A member of the infamous Manson family, she was sentenced to life imprisonment for the attempted assassination and was released on parole on August 14, 2009, after serving 34 years. Lynette Alice “Squeaky” Fromme, born October 22, 1948, is a would-be assassin best known for attempting to assassinate U.S. President Gerald Ford in 1975. A member of the infamous “Manson family”, she was sentenced to life imprisonment for the attempted assassination and was released on parole in 2009, after serving 34 years. In 1967, Fromme went to Venice Beach, suffering from depression. Charles Manson, who had been recently released from federal prison at Terminal Island, between San Pedro and Long Beach, saw her and struck up a conversation. Fromme found Manson’s philosophies and attitudes appealing, and the two became friends, travelling together and with other young people such as Mary Brunner and Susan Atkins. She lived in Southern California at Spahn Ranch, and in the desert near Death Valley. George Spahn gave her the nickname “Squeaky“, because of a sound she made when he touched her. 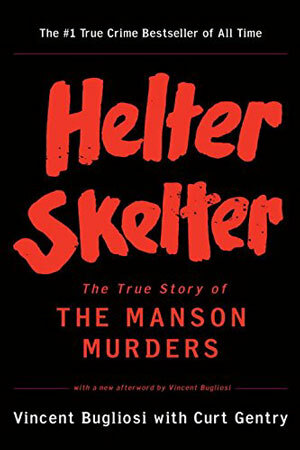 After Manson and some of his followers were arrested for the Tate/La Bianca murders in 1969, Fromme and the remaining “Manson family” camped outside of the trial. When Manson and his fellow defendants, Patricia Krenwinkel, Leslie Van Houten, and Atkins carved “X“s into their foreheads, so did Fromme and her compatriots. They proclaimed Manson’s innocence and preached his apocalyptic philosophy to the news media and to anyone else who would listen. She was never charged with involvement in the murders, but was convicted of attempting to prevent Manson’s imprisoned followers from testifying, as well as contempt of court when she herself refused to testify. She was given short jail sentences for both offences. Fromme, with Sandra Good, moved into a dilapidated attic apartment in downtown Sacramento, California; They wanted to be near Manson, who at the time had been moved to Folsom prison. Around 1973, Fromme started work on an extensive 600-page book about The Family, including intricate drawings and photos; other Family members had contributed to it as well. Fromme sent it to every publisher she knew, but after discussing the matter with Steve “Clem” Grogan, she decided the project was too incriminating, and it was dropped. It is not known what ultimately happened to the book. On the morning of September 5, 1975, Fromme went to Sacramento’s Capitol Park (reportedly to plead with President Gerald Ford about the plight of the California redwoods) dressed in a red robe and armed with a Colt M1911 .45 semi-automatic pistol that she pointed at Ford. The pistol’s magazine was loaded with four rounds, but there was no cartridge in the chamber. She was immediately restrained by Larry Buendorf, a Secret Service agent. While being further restrained and handcuffed, Fromme managed to say a few sentences to the on-scene cameras, emphasizing that the gun “didn’t go off”. 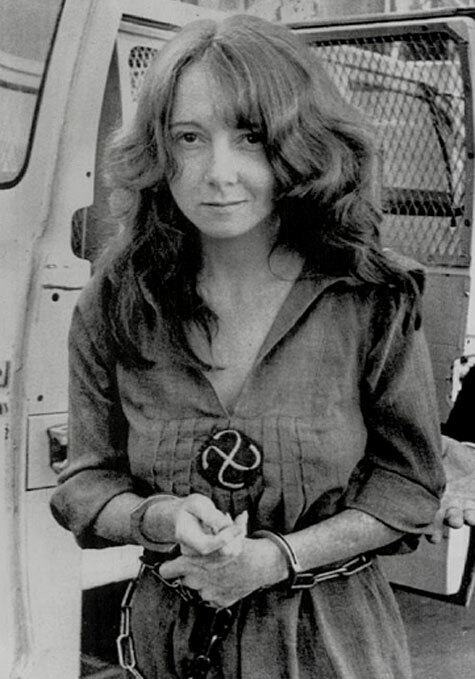 The photograph of her 1975 arrest, showing Fromme sitting in a Sacramento City Police vehicle as she waited to be brought to jail, remains in frequent usage. In 1980, Fromme told The Sacramento Bee that she had deliberately ejected the cartridge in her weapon’s chamber before leaving home that morning. After a lengthy trial in which she refused to cooperate with her own defense, she was convicted of the attempted assassination of the president and received a life sentence under a 1965 law which made attempted presidential assassinations a federal crime punishable by a maximum sentence of life in prison. When U.S. Attorney Dwayne Keyes recommended severe punishment because she was “full of hate and violence,” Fromme threw an apple at him, hitting him in the face and knocking off his glasses. “Sandy Koufax couldn’t have thrown a better pitch,” her lawyer said years later. Fromme was released on parole from Federal Medical Center, Carswell on August 14, 2009. She then moved to Marcy, New York. According to the New York Post, as of January 2019 she still resides in Marcy with her boyfriend Robert Valdner, himself an ex-con. The house they share is decorated with skulls. “She’s very friendly,” one neighbor told The Post.